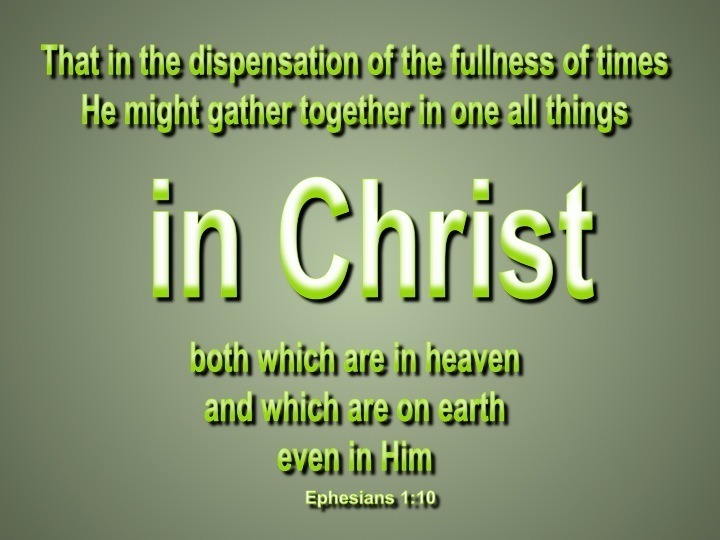 [He did this] to fulfill His plan at the proper time, by bringing together everything [in the universe] under Christ's headship --- things both in heaven and on earth. 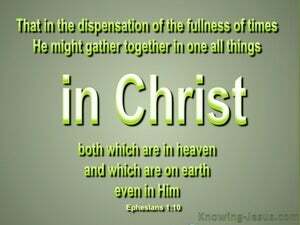 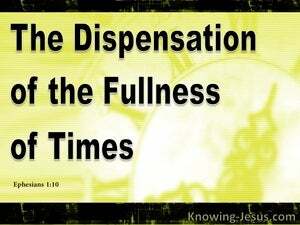 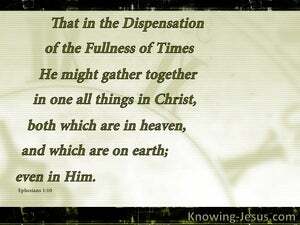 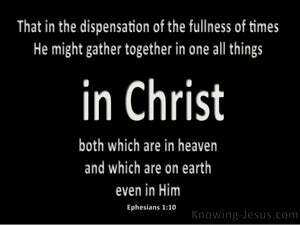 when the full time of the dispensation was come, to reduce all things both in heaven and on earth, under one head in Christ. 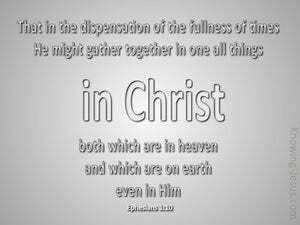 for the government of the fulness of the ages, that all things in heaven and earth are alike should be gathered up in Christ, as Head. 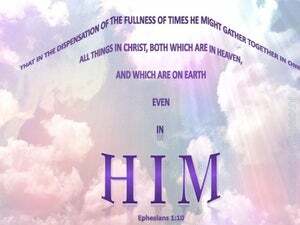 toward the administration of the fullness of the times, to head up all things in Christ -- the things in heaven and the things on earth. 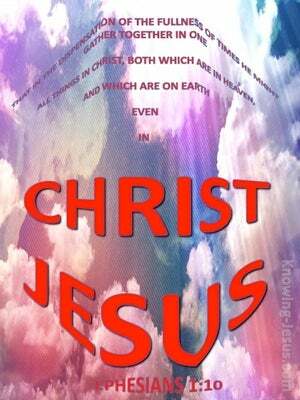 In view of that Divine Order which was to mark the completion of the ages, when he should make everything, both in Heaven and on earth, center in him.